← Disney Moms Panel Monday – The 2012 Search Begins Soon! Whatever Wednesday: Please Say Yes! I’ve posted previously in my blog about Give Kids the World Village in Florida and how members of the Moms Panel are joining together to raise money for this incredible organization. “One person can make a difference! Say “yes” to help make the Give Kids The World experience extra special for the wish families we serve. $25 says YES to unlimited ice cream served in our Ice Cream Palace for an entire week for one family. Imagine; ice cream for breakfast! And the only hard part is choosing between a cone, cup, sundae, or banana split! $50 says YES to a welcome basket for one family. Each basket includes milk, juice, and snacks in the fridge and gifts including an autograph book for the kids to capture signatures of their favorite characters. $75 says YES to our Gift-giving Fairy who delivers gifts to each child in the family, every day of their stay. Stuffed animals, DVD’s, games, souvenirs, and more – all the things that make a child’s face light up with joy. $100 says YES to Christmas every Thursday, complete with visits from Santa, horse-drawn carriage rides, and yes, even snow in Florida! So far we have raised almost $4,500 through Ice Cream Socials and collecting donations. 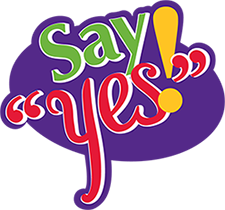 If you are one of the people who gave, THANK YOU for saying YES!! Know that you have blessed a family and a very special child with your generosity. We are visiting the Village on Friday, Septmember 30th, 2011. Please help us reach our goal…say YES to making dreams come true!! This entry was posted in Charities, Give Kids the World and tagged Disney Fans Give Kids the World, Fundraiser, Give Kids the World Village. Bookmark the permalink.